Winter in Korea means plenty of festive gatherings, from Christmas to New Year’s Eve parties. As December comes to an end and the year draws to a close, people gather at sunrise festival locations across Korea to welcome in the first sunrise of the New Year. January and February are perfect for reveling in the chilly weather by visiting snow and ice festivals. 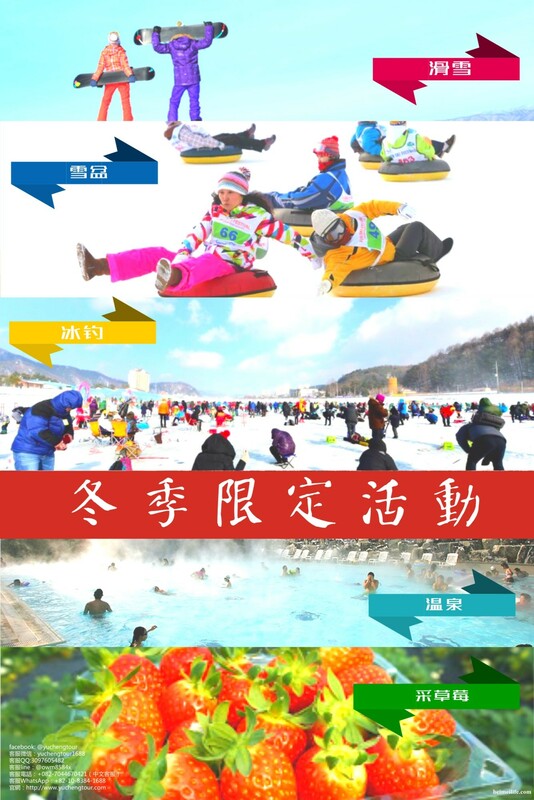 Each region has its own unique winter culture and specialty products, for endless opportunities to enjoy an active winter in Korea. Our package has high flexbility and quality. Do not miss it! More tourists, lower price! Let’s sign up now!